Manufacturer of a wide range of products which include new pre ink stamp making machine and pre ink stamp making machine. 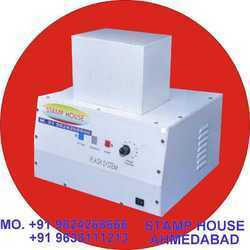 New Pre Ink Stamp Making Machine with best quality with best features. with heavy Quality Materials" EXPORT " Pre Ink Machie. Recognized as a reputed name in the industry, we have immense expertise in developing and offering Pre Ink Stamp Making Machine to our business clients. 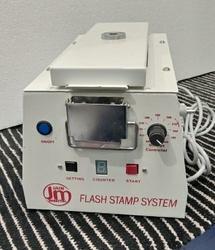 This machine can be used for making of stamps in large quantities at a very affordable rate.